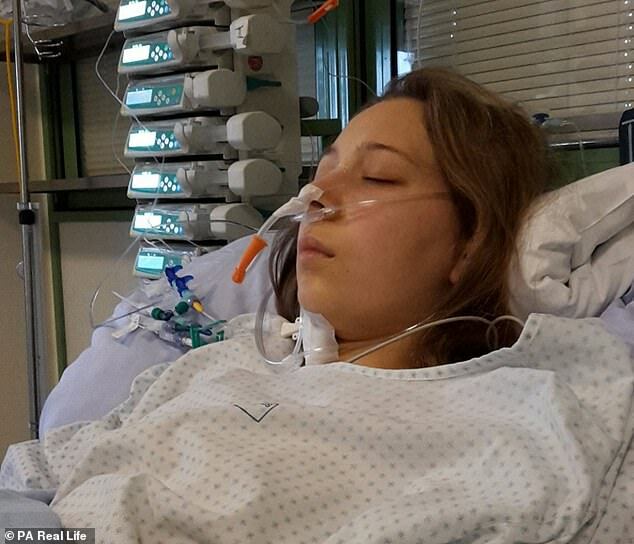 A student feels like she is constantly ‘being stabbed in the stomach with a knife’ because of a rare illness that causes her arteries to crush each other. 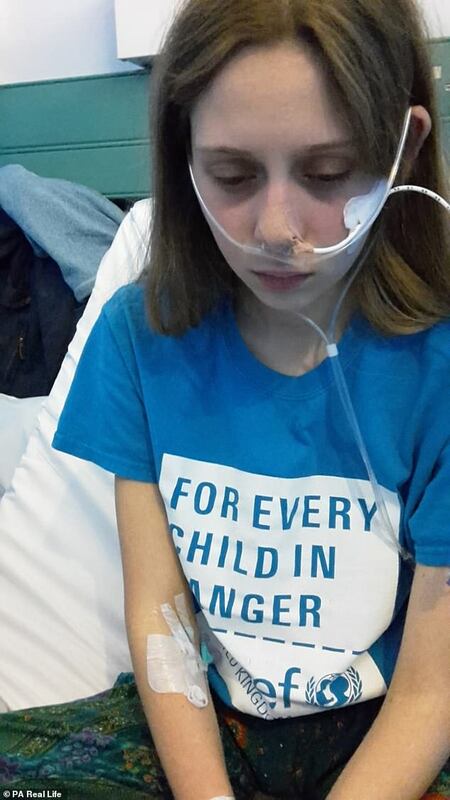 Evita Gamber, who lives in Oval, London, visited A&E four times in the summer of 2016, but was told she had constipation and urged to take painkillers. After researching her symptoms online, the 22-year-old was eventually diagnosed with three types of vascular compression syndrome in November 2017. She had an eight hour operation, followed by two more, which failed to relieve her pain and left her with a huge scar on her stomach. 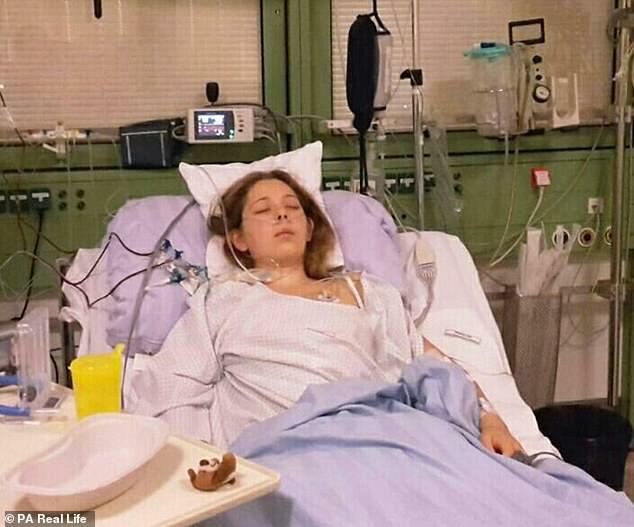 Miss Gamber, who took a year out from her maths and physics degree at University College London, is now desperately awaiting more surgery. 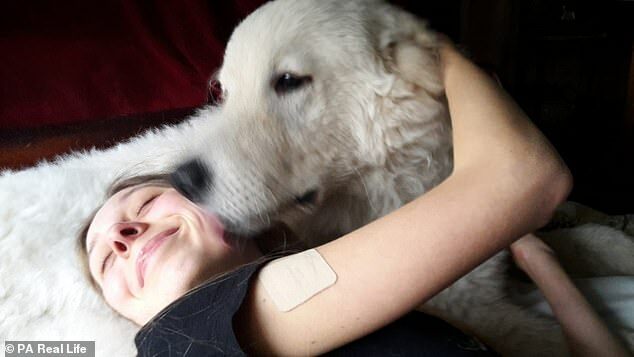 She claims she has been helped through her battle by her sheepdog, nine-month-old Bo, who has comforted her through her darkest times. When Miss Gamber first moved to London to study in September 2015, she was planning to spend her three years at university in the hopes of one day becoming a quantum physicist. A mysterious and persistent pain in her abdomen developed the following summer but she initially thought it could just be indigestion. When a week of pain was compounded by nausea, she finally saw her doctor, who could not find anything obvious wrong. As the weeks wore on, the pain continued – becoming so extreme that in November she took herself to A&E in London four times. But she was told by medical experts that there was nothing overtly the matter with her and that she should just take pain killers. By Christmas, her weight had also dropped slightly, from 8st 2lb (52kg) to 7st 6lb (48kg), as eating made the pain worse. Miss Gamber, who had been a marathon runner before becoming ill, said: ‘Everything was starting to get very difficult for me as I was in constant pain. ‘Then on Christmas Day I experienced another heavy attack of stomach cramps along with pain in my chest, which made me unable to move. ‘I went to my local hospital in Germany, where I was spending the festivities, and an ultrasound scan revealed that I was a bit constipated. Instead, she found herself suffering unbearable agony and her constipation stopped her from eating. Frustrated by the lack of answers she seemed to be getting from the medical profession, she started doing her own research into her symptoms. Eventually, she found something called vascular compression syndrome – a rare disorder that occurs when a vein or artery is squeezed by another internal part of the body which affects less than one per cent of the population. 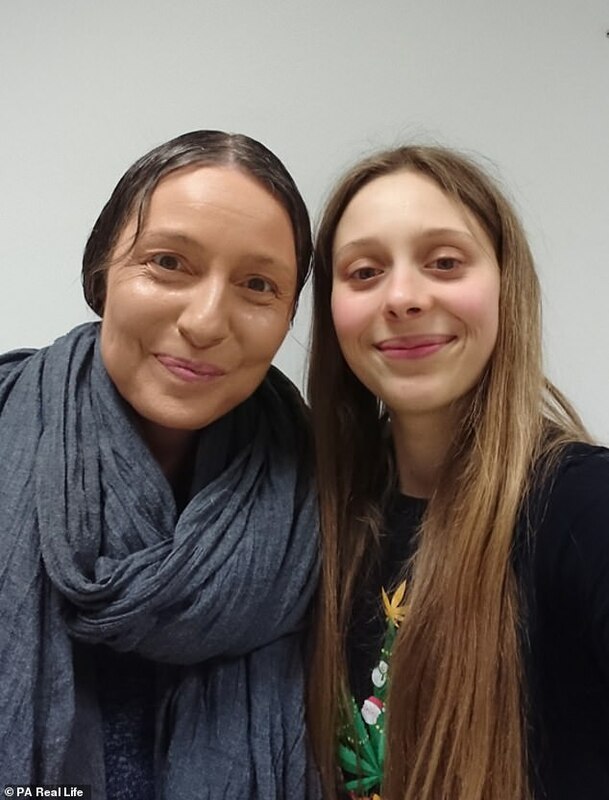 In October 2017, Miss Gamber wrote to a German specialist in the Leipzig and as a result, was diagnosed with median arcuate ligament syndrome (MALS), May-Thurner syndrome and nutcracker syndrome (NCS) – all of which affect the kidney and abdominal area and cause excruciating pain. Immediate surgery to reduce the pressure on the renal and celiac arteries was recommended, and on November 6, 2017 she went under the knife for an eight-hour operation in hospital. Miss Gamber, who was left with a long scar from the bottom of her rib cage to below her belly button, thought her nightmare was over. However, the surgery was not successful, meaning she needed two further operations within the following two weeks to fix complications. With a three month recovery period, Miss Gamber had to put her studies on hold – still experiencing no reprieve from the constant pain in her left side. Miss Gamber said: ‘The abdominal pain went for a short while, but then it became a whole lot worse in the left side of my torso. 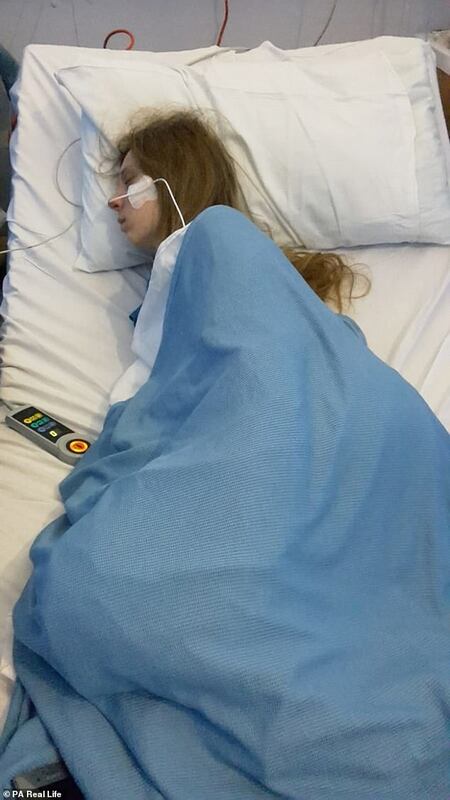 Despite still living with constant pain, Miss Gamber returned to London in September 2018 to try and complete her studies of mathematics and physics. 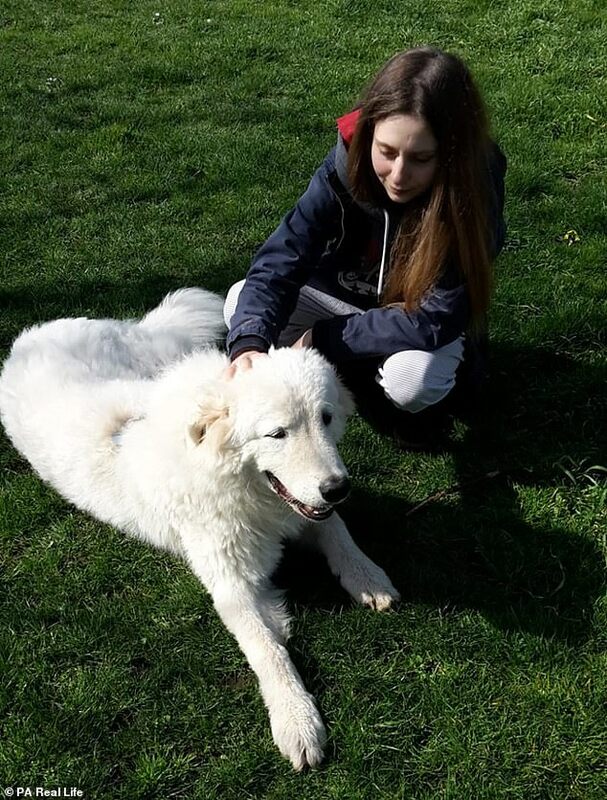 Her mother, teaching assistant Anette, 47, and Maremma Sheepdog puppy Bo followed in January 2019 to assist with her care. The family bought Bo from a local farmer in Tuscany, where they holidayed, when he was six-weeks-old. 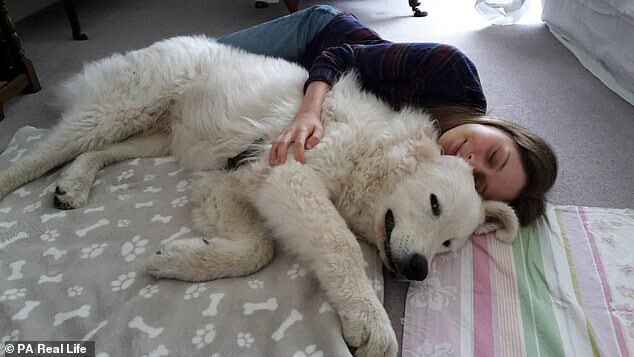 Miss Gamber said: ‘By the time I met Bo, my pain was so bad that I was often fainting and I could rarely leave the house. 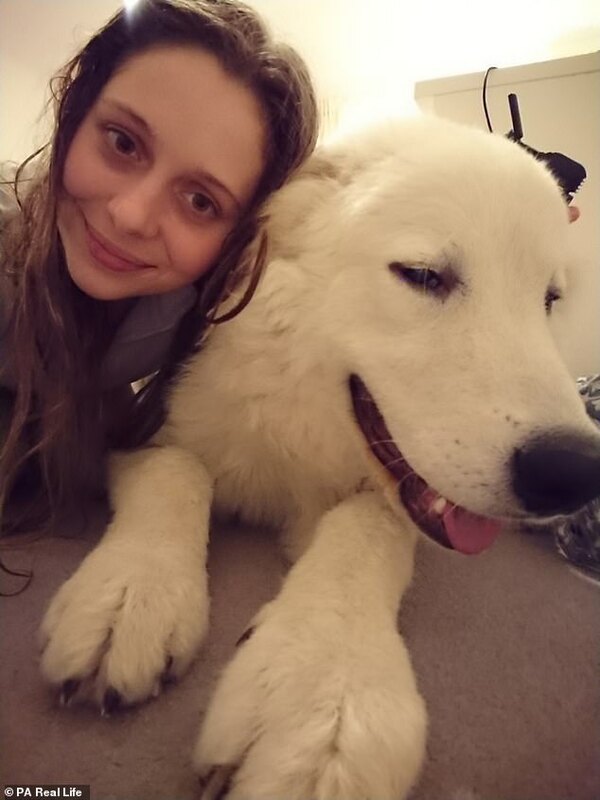 Bo is set to be trained as an assistance dog, so he can tend to Miss Gamber’s growing needs. Miss Gamber said: ‘He is already hugely helpful to me. I’m quite tough and don’t like to show when I’m struggling, but he detects these things, so stays close and watches me to make sure I’m okay. ‘There are also times when I pass out from exhaustion or pain and he is there to either try to rouse me, or go and alert other people. A renal vein transposition – a procedure in which the vein will be moved and hopefully no longer compressed – is planned at St Mary’s Hospital, London soon. WHAT IS VASCULAR COMPRESSION SYNDROME? Vascular compression syndromes are caused when a vein or artery is squeezed by another internal part of the body. They occur in less than one per cent of the population. Chronic entrapment may lead to arterial ischemia and embolism, venous stasis and thrombosis, and hematuria. These syndromes are usually seen in otherwise healthy young patients, among whom underdiagnosis is common. Variations include Thoracic Outlet Syndrome, Quadrilateral Space Syndrome, Median Arcuate Ligament Syndrome, Nutcracker Syndrome and May-Thurner (Cockett) Syndrome. Median arcuate ligament syndrome (MALS) is when the median arcuate ligament presses too tightly on the celiac artery, a major branch of the aorta that delivers blood to the stomach, liver, and other organs). NCS is a form of vascular compression so named because the renal vein that connects the kidney and the heart is ‘cracked’ between two other arteries. The prevalence is unknown.